NEW YORK (AP) Phil Mickelson has apologized four days after intentionally violating golf rules by hitting a moving ball on the green at the U.S. Open, saying his frustration got the best of him. The apology came Wednesday in a statement released by his representatives. Mickelson was struggling in the third round when he reached the 13th green. His bogey putt from above the hole ran by the cup and was headed down a slope when he trotted over and swatted it back toward the hole with the ball still in motion. He was assessed a two-stroke penalty, scored a 10 on the hole and wound up shooting 81. Later, after acknowledging he was using Rule 14-5 to his advantage, Mickelson called USGA officials for clarification on the rule after hearing suggestions he should be disqualified from the U.S. Open. 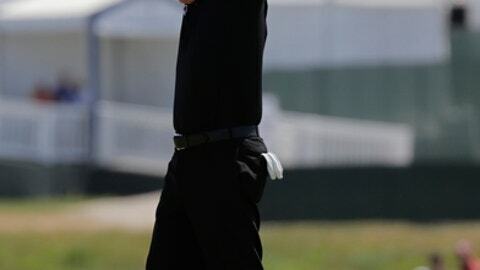 USGA officials said disqualification was not in order for his violation. Some observers were upset that Mickelson and playing partner Andrew Johnston were smiling as they walked off the green.